Not since Phar Lap has a horse caught the imagination of the Australian public like Black Caviar. At the moment, Black Caviar is staking her claim as the fastest thoroughbred sprinter in the world. She has a record 13 straight wins and is undefeated. One more win and she will equal the mighty Phar Lap's record of 14 consecutive victories. Black Caviar was foaled on 18 August 2006. In 2010, she was named the World Thoroughbred Racehorse Rankings' World Champion Sprinter. On 31 March, 2011 she was rated the top thoroughbred racehorse in the world for the first quarter of 2011 by Timeform. Despite the name, Black Caviar is officially listed as 'brown'. Black Caviar was foaled at Swettenham Stud. Her sire is Bel Esprit who won the Doomben 10,000 sprint. Her mother is the unraced Helsinge who was by Desert Sun (GB). Black Caviar is the first foal from Helsinge and sold at auction at the Inglis Melbourne Premier yearling sales for $A210,000. She is owned by Mr and Mrs G J Wilkie, Werrett Bloodstock P/L, Mr and Mrs C Madden, P Hawkes and Mr and Mrs D M Taylor. Black Caviar won both her two-year-old races winning by five lengths then by six lengths. Her first race as a three-year-old race saw her win by four lengths. Black Caviar has tremendous acceleration out of the starting gates. This powerful surge saw her stumble as she left the gates in the Danehill Stakes at Flemington. She recovered well to win again but she had sustained an injury to the muscles of chest. This kept her off the track until the following January. She was now competing against older horses in the Group 2 Australia Stakes at Moonee Valley. She won by two and a half lengths. She then sustained a leg injury which kept her out of racing until the following season. In October 2010, and now a four-year-old, Black Caviar won the Schillaci Stakes and the Moir Stakes, both Group 2 races. At this point in her career, she moved up to take on the Group 1 horses including the highly-rated Hay List plus Star Witness, All Silent and Melito. In the Group 1 Patinack farm Classic, she again won by four lengths. In February 2001, she demolished the field in the Lightning Stakes being eased down at the post. In the Newmarket Handicap she carried 58kg to win easily, setting a new race record in the process. It was this race which saw her become the number one ranked horse in the world for the October 2010 to March 2011 period. She then ran in the T J Smith Stakes in Sydney and the BTC Cup at Doomben, Queensland. In both races she clashed with Hay List but, although he came a very gallant second in each race, he was unable to catch the flying mare. Black Caviar's sire, Bel Esprit, traces back through Royal Academy to Nijinsky and Northern Dancer. Bel Esprit's dam was Bespoken by Vain who was by the French sire Wilkes. The US sire Danzig features in Desert Sun's pedigree while there is another cross to Vain in Helsinge's side. Black Caviar is trained by Peter Moody who has stables at Caulfield in Victoria. She has been ridden in all but her first two starts by Luke Nolan. Her next race is expected to the $200,000 Schillaci Stakes on October 8, 2011.
with the general Australian public. 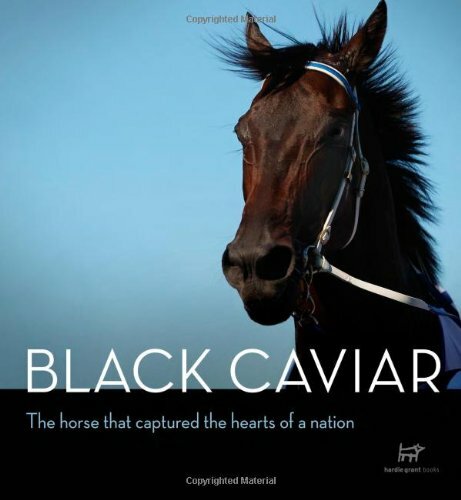 In mid August, Victorian Thoroughbred Racing Awards were mostly taken by Black Caviar and 'her' team. Peter Moody took his first Fred Hoysted Medal for the top training performance in Victorian races. Luke Nolan was top rider on Melbourne tracks for the first time in his career, winning the Scobie Breasley medal. 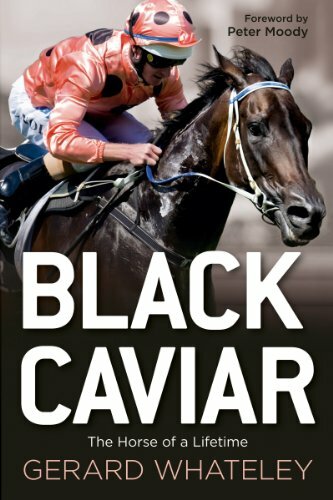 Black Caviar now has a social media 'wall' and a Facebook fan page. Unlike Australia's other great thoroughbred icon, Phar Lap, Black Caviar is a sprinter and has raced only over distances from 1000 to 1200 metres. Australia as a whole is now waiting to see if Black Caviar will travel to Britain to take on the best sprinters in the mother country. I love reading about stories like this and about horses. You were quick! I've just this minute clicked 'publish'!! Love your avatar. Is it your cat?